Office 365 is a productivity suite that can be based either in the cloud or on-premise, depending on what your business needs from it. Your business could access this productivity suite on any approved device. It gives your team access to a host of solutions, including a word processor (Microsoft Word), slideshow creator (PowerPoint), and spreadsheet builder (Excel), with others being added as needed according to what subscription plan is purchased. Simply put, any business that is currently using Windows 10 should certainly consider Office 365 as a viable solution. There are even enterprise offerings for businesses that have more than 300 users, so never feel like your business is too large to take advantage of some of these features. We know this is what you have been waiting for; which solution is best for my business? It all depends on where you currently stand. 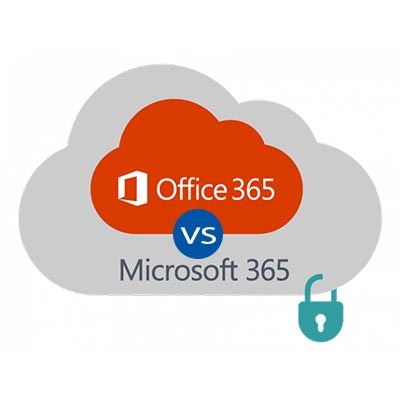 If you already have solutions in place for your business’s data storage and security, then perhaps Office 365 is a good solution for your organization. For businesses that haven’t put too much stock in their productivity suite and are looking to invest in a major initiative, then Microsoft 365 is the one for you. Microtechs can help you determine the best route to success. To learn more, reach out to us at (415) 246-0101.